PMI®’s Certified Associate in Project Management (CAPM)® is a valuable entry-level Certification for Project Practitioners. Designed for those with little or no project experience, the CAPM® Certification demonstrates an understanding of fundamentals, concepts, terminology, and the processes of effective Project Management. CAPM® Certification is administered by Project Management Institute (PMI)®, USA. Whether you are new to Project Management or already serving as a Professional on project teams, possessing CAPM® Certification can assist in catapulting your career to new heights! Our CAPM®Certification Training Program introduces Participants to PMI®'s Project Management processes and knowledge areas, as defined in the PMBOK® 6th Edition. The Program methodically prepares Candidates to attain CAPM® Certification. Very often candidates who achieve the CAPM® Credential eventually go on to achieve Project Management Professional (PMP)® Certification, after having accrued sufficient Project Management experience. 3 complete sets of CAPM® Online Mock Simulation Tests - 600 additional quality questions that help evaluate your preparation level. Tips and Techniques on how to pass the CAPM® Exam. Post-workshop support through e-mail, telephone and webinars. We will teach you to identify the Primary Constraints of a Project. Learn How to Organize Projects in the most efficient way possible. Understand Concepts and Terminologies that will be used in the CAPM® Exam. Understand the Five Process Groups discussed in the PMBOK® Guide (6th Edition) that form the basis of the Project Management Life Cycle. Understand the Ten Knowledge Areas discussed in PMBOK® Guide, 6th Edition and learn how they apply to each of the Process Groups. Understand the Processes of Project Management in relation to the Knowledge Areas and Process Groups. Learn how the Processes of Project Management can be applied to a daily work environment. Understand Concepts of Professional Responsibility and Ethics. To earn a Certified Associate in Project Management (CAPM)® Certification, Candidates need to meet the experience and education requirements as well as pass the CAPM® Exam. The CAPM Exam is a 150-question, multiple-choice test. A secondary diploma (high school or the global equivalent) AND 1,500 hours experience OR 23 hours of Project Management education. PMI®'s Certified Associate in Project Management (CAPM)® is a valuable Entry-level Certification for Project Practitioners. 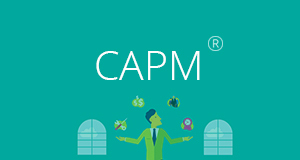 Designed for those with less than 2 years of project experience, the CAPM® demonstrates your understanding of fundamental knowledge, terminology and processes of effective Project Management. Who is eligible for CAPM® Certification? A Secondary School Diploma (High School or Global Equivalent) AND 1,500 hours of Project work experience, OR 23 hours of Project Management Education. PMI®'s Certified Associate in Project Management (CAPM)® is a valuable Entry-level Certification for Project Practitioners. Designed for those with less than 2 years of Project experience, the CAPM® demonstrates your understanding of the fundamental knowledge, terminology and processes of effective Project Management. Where can I get Training/Preparatory Courses for the CAPM® Exam? CAPM® Training/Preparatory Courses are offered by PM®I Registered Education Providers (R.E.P). Of course we suggest Redstone. To find a REP nearest to you, log on to http://pmi.org.in/capm.asp. How do I apply for the CAPM® Examination Credential? Create an account by logging on to http://www.pmi.org/Certification/Certified-Associate-in-Project-Management-CAPM.aspx and fill the CAPM® application form available on the PMI® website. How can I schedule my test once the application is accepted by PMI®? You can schedule your test by visiting the Prometric Center website. Prometric Centers are PMI®'s global providers for testing services. Log on to http://www.prometric.com/PMI/default.htm Computer Based Testing will be held at Prometric Centers. Alternatively, Paper Based Testing is possible in regions where Prometric Centers are not available. How do I prepare for the CAPM® Exam? The exam questions are based on the PMBOK® Guide, 5th Edition. Enrollment dates for the exams are on an ongoing basis. The exam duration is 3 hours and there are a total of 150 questions on the exam. We suggest preparing with Redstone for best results! What are the Membership and Exam Fees? Membership Fees: Students - $40, Individuals - $129. To apply for student membership, the student should be currently enrolled in an accredited college or university. Exam Fees are the same for both computer and paper tests.